Traumatic brain injury (TBI) caused by motor vehicle accidents, falls or other accidents and firearms can cause a wide variety of cognitive issues. In addition to cognitive problems, if you've experienced a brain injury, you may also develop symptoms consistent with one or more forms of mental illness including obsessive-compulsive disorder (OCD). TBI occurs when the brain is injured or damaged by an outside force such as a blow to the head or a gunshot. TBIs can occur as a closed head injury in which the skull and brain remain intact, like what is seen among professional athletes such as football players, or as a penetrating head injury in which an object penetrates the skull and brain. 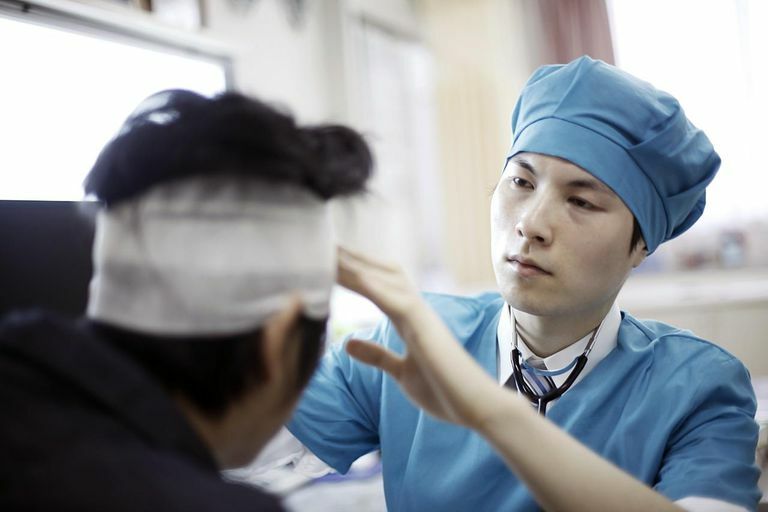 TBI is often classified according to the severity of the injury—mild, moderate or severe. If you have experienced a TBI you may also notice a change in your cognitive functioning. After a TBI, your performance on everyday tasks requiring memory, language, spatial or verbal ability may be negatively affected. This can be either temporarily or permanently. If the TBI affects motor centers within the brain, mobility may also be impaired, and you may need a mobility device like a wheelchair or help with day to day tasks. TBI can also affect your behavior, causing changes in your personality. It is possible, after a TBI, that a previously calm person may become impulsive or aggressive. Likewise, an outgoing individual may become shy and withdrawn. In addition to changes in cognitive function, behavior, and mobility, TBI can trigger symptoms of OCD including obsessions and compulsions. OCD following a TBI usually occurs soon, if not immediately, after the event has taken place. However, there have been reports of TBI-induced OCD being diagnosed months after the initial injury. In each case, localized brain damage may or may not be present when viewing a brain scan. Research has indicated that OCD following a TBI is usually accompanied by symptoms of major depression. Whether this depression is a result of the TBI, the psychosocial stress caused by the injury, the onset of OCD, or a combination of these factors is unclear. If you developed OCD after a traumatic brain injury, your doctor may recommend a selective serotonin reuptake inhibitors such as Prozac (fluoxetine) or a tricyclic antidepressant such as Anafranil (clomipramine). Psychotherapy for OCD following a TBI may also be helpful. However, since cognitive impairment is common among those with TBI, cognitive-based therapies may not be the best option for everyone and should be evaluated on a case by case basis. If you can, choose a supportive therapy which assists you and helps you cope with both the practical and emotional challenges associated with TBI and OCD. Coetzer, B.R.“Obsessive-compulsive disorder following brain surgery” International Journal of Psychiatry and Medicine 2004 34: 363-377. Grados, M.A. “Obsessive-compulsive disorder after traumatic brain injury” International Review of Psychiatry 2003 15: 350-358.